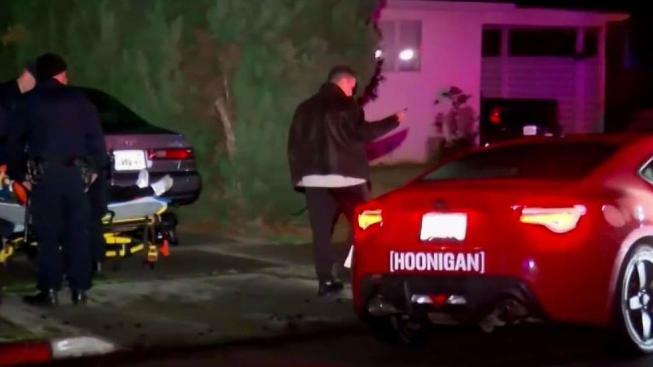 Before authorities arrived to the scene, residents in a San Jose neighborhood on Sunday took it upon themselves to detain a driver who is said to have struck multiple vehicles in the area, according to a witness. The driver is said to have crashed into numerous parked vehicles around 2 a.m. in the area of Menker Avenue just south of Scott Street, witness Alexis Rojas said. Rojas said the driver hit at least 10 vehicles. It was when the driver hit the final vehicle that neighbors were able to bring an end to the chaotic situation. "The whole neighborhood was out here trying to stop him," Rojas said. "They were crowded around his car. We opened his door. We took his seat belt off. We just pulled him out, and we were just trying to have him lay there until the authorities came." 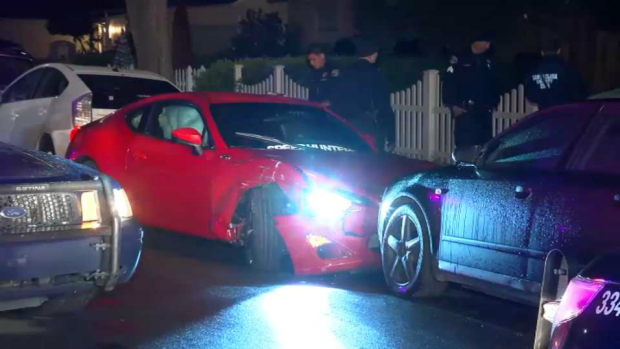 Before authorities arrived to the scene, residents in a San Jose neighborhood on Sunday took it upon themselves to detain a driver who is said to have struck multiple vehicles in the area, according to a witness. Marianne Favro reports.